← Is That Sword Alive? Tomorrow! BookBar (4280 Tennyson St, Denver, CO 80212) at 7PM! I’ll be reading from Apocalypse All the Time and Jack C. Buck will be reading from Deer Michigan. You should come out. It’ll be a good time. Here’s the Facebook event page so you can let us know if you’re coming. This entry was posted in Uncategorized and tagged apocalypse all the time, apocalypse all the time blurb, apocalypse all the time goodreads, Apocalypse All the Time Goodreads Giveaway!, apocalypse all the time literary wanderlust, apocalypse all the time reading, blurb, blurb Apocalypse All the Time, book blurb, bookbar, bookbar denver, bookbar reading, buck Deer Michigan, david atkinson, david s atkinson, Deer Michigan, Denver, First Blurb For Apocalypse All the Time, free books, goodreads, goodreads giveaway, jack buck, Jack C. Buck, Release Event For Apocalypse All The Time and Deer Michigan Saturday January 14 7PM At The BookBar!, Remember! 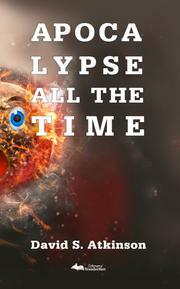 Release Event For Apocalypse All The Time and Deer Michigan Saturday January 14 7PM At The BookBar!. Bookmark the permalink.